Peer-to-peer lending is rapidly gaining popularity as savers seek alternatives to measly ISA interest rates. If you're looking to take advantage, it's important to make sure you know what you're getting into before you invest. The big draw for most people are the interest rates. At the time of writing, Zopa is offering investors top interest rates of 5%, while ThinCats projected some lenders could make as much as 13%. 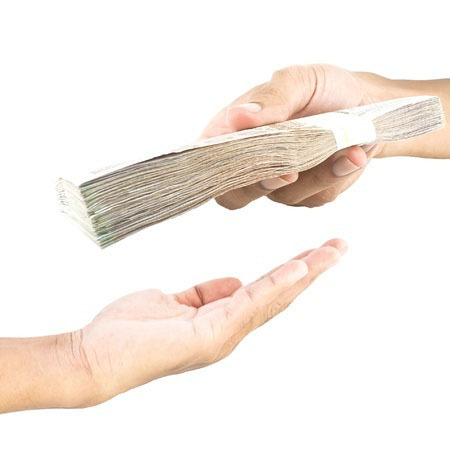 The actual amount you'll receive on your investment will depend on the amount of commission the lender takes, whether any of your borrowers default (don't pay back the loan), and whether the lender has protection against these eventualities (check their website for details, or ask if you're not sure). Unlike ISAs, you'll have to declare your earnings to HMRC, and pay tax on them. Even with these caveats, net interest rates are generally higher than ISAs and savings accounts. Just don't assume you'll get the headline figure. The amount you invest, and how long you invest for, is much more flexible than a fixed-term ISA. Several providers have very low minimum investments, so it's an investment tool that's not just for the wealthy. Usually your loan is repaid in monthly instalments, and some providers let you access these payments as soon as they arrive. Several lenders will even help you to sell your debt on to another investor if you suddenly need access to your money in the middle of a fixed term. Although not all lenders offer this service, and those that do will charge a small commission fee. To avoid these costs, be clear about your finances before you sign up. If you're struggling to keep track, take advantage of our free Money Dashboard budget planner, letting you collate all of your earnings and expenses in one secure, clear and easy-to-use space. Some lenders loan money to hand-picked businesses, and others offer personal loans, while lenders like Funding Circle let you choose your portfolio of borrowers yourself. The amount of risk you take will be reflected in the potential gains. So view the bigger figures with caution. And remember that unless the lender says otherwise, potential gains are just that, potential. Nonetheless, this is a real benefit. No retail banking tools give you such control over the risk and reward. As long as you know what, and who, you're investing in, it's immensely satisfying to be in control of your own earnings. The most important question is 'how safe are my savings?' The honest answer is that your funds are slightly less safe with peer-to-peer lenders than banks. However, they are still quite safe. From the 1st of April, peer-to-peer lenders will be regulated by the Financial Conduct Authority, which comes with a string of rules and regulations to protect your funds. Several lenders, including Zopa and Ratesetter, have also set up ring-fenced funds to reduce the impact of loan defaults on individual lenders' portfolios. It's what makes their headline interest rates lower than some rivals, but it also means you're almost certain to end up with the rate they promise. However, your funds aren't covered by the Financial Services Compensation Scheme. So if a lender site goes under, you aren't guaranteed to get all of your money back.